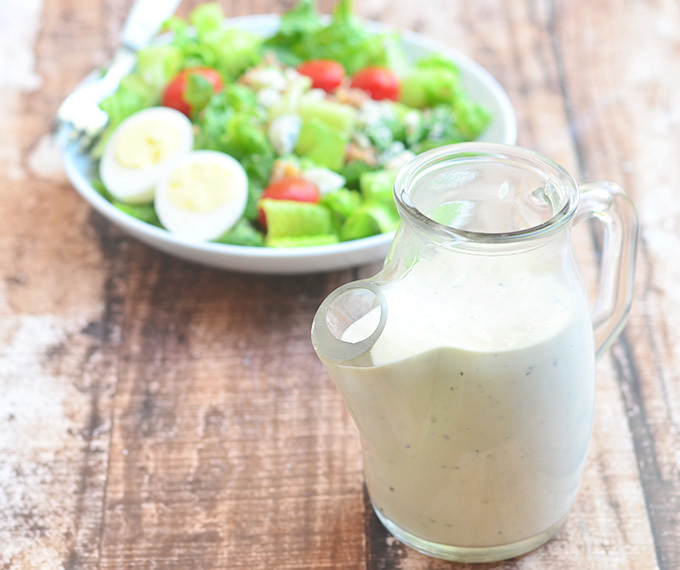 Homemade Blue Cheese Dressing is the best thing you’ll ever put on your salad! It’s easy to make and fresher, cheaper and better than store-bought! There are so many things we buy for convenience that doesn’t make sense cents-wise. Perfect examples of these would be bagged salad mixes and bottled salad dressings. I mean, really, how much work or time does it take to tear lettuce? Or whip up homemade salad dressing for that matter? Probably a lot less than it would take to walk down the long aisle to pick up one. 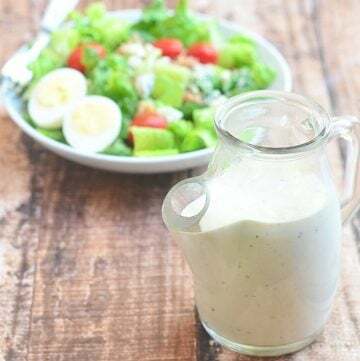 This homemade blue cheese dressing takes but five minutes to whisk together and uses basic ingredients I always keep in stock anyway. I have nothing against Paul Newman (in fact, it’s the brand I choose on the rare occasions I do buy) but this blue cheese dressing from scratch is definitely cheaper, fresher, chunkier and a whole lot better than what you’d find in the store. 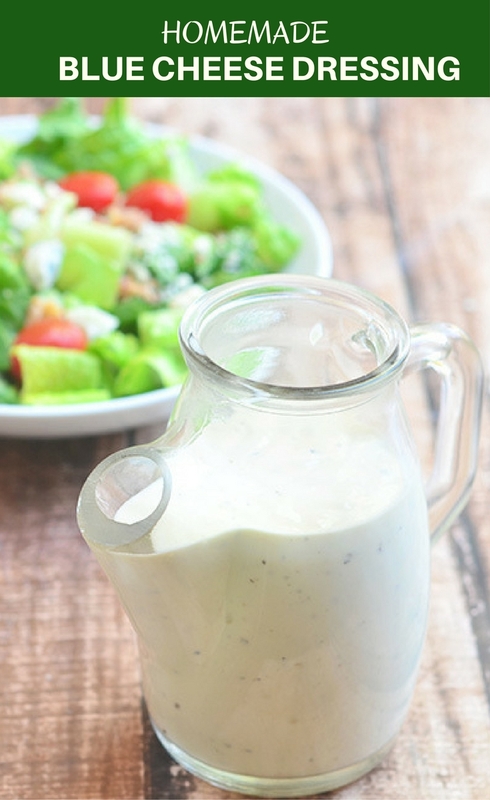 This homemade blue cheese dressing recipe makes roughly 1 cup but can be easily halved or doubled. Unfortunately, since it’s made with fresh ingredients and has no added preservatives like commercial dressings, it keeps in the refrigerator for only up to 5 to 7 days. Fortunately, there’re so many delicious ways to enjoy your batch, keeping it for more than 7 days is never a problem. Not only is it amazing drizzled over salad or as a dip for your favorite finger foods, you can also substitute it for mayo in potato or egg salads and use as a spread for sandwiches or burger. You can use it to flavor chicken casseroles or drizzle on steaks and grilled meats. Any other creative ways you use blue cheese dressing? Share in the comments below! 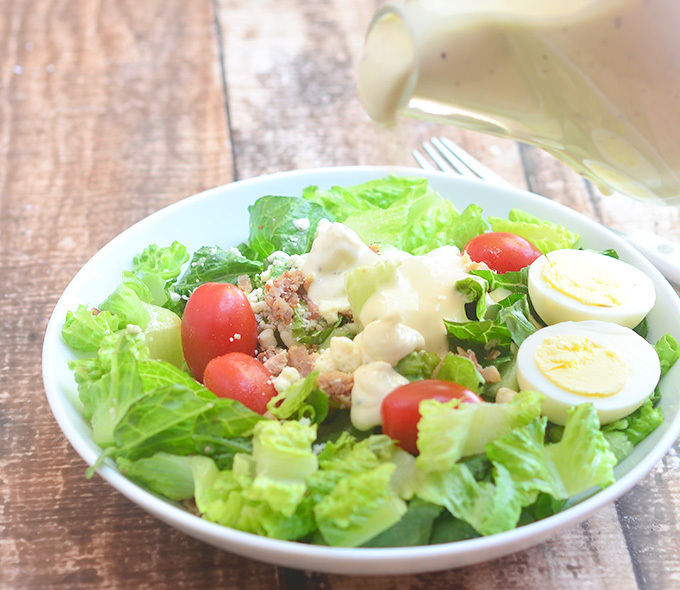 Homemade Blue Cheese Dressing is the best thing you'll ever put on your salad! It's easy to make and fresher, cheaper and better than store-bought! In a bowl, combine blue cheese, mayonnaise, and sour cream. Add buttermilk and white wine vinegar and mix together. Stir in shallots and green onions. Transfer into an airtight container and keep in the refrigerator for up 5 to 7 days. Recipe makes roughly 1 cup. My father loves blue cheese dressing. It his favorite. He would enjoy this version. you are right! This looks totally easy to make, making the Holiday salads for our family dinners is usually the task I’m entrusted with (apparently I am fully capable of tossing a salad together ha),this looks like it would be great to make for Thanksgiving dinner. It will be perfect for all your holiday salads! Wow, sooo yummy! You don’t think about making things from scratch when it’s there at the store. But saving money is always a great thing! 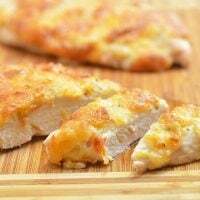 I’m not a huge fan of blue cheese but my mom is- I’ll have to make this for her! Yum…this looks so good! I love Blue Cheese dressing with celery so I think I’ll have to give this a try! Thanks!!! Yes, this is the perfect dip for crisp veggies!